All civil engineering must be sustainable. That was the message from the ASCE Committee on Sustainability during its progress report at the spring Board of Direction meeting, March 18-19, in Arlington, VA. It was a message that mixed urgency with optimism as the committee detailed to the Board the success of its recent Sustainability Summit and prepared its forthcoming strategic roadmap for this aspect of the ASCE Sustainable Infrastructure strategic initiative. The summit brought civil engineers, educators, and stakeholders together to discuss the urgent sustainability issues facing the profession. The committee engaged the Board in a lively discussion about some of those issues, including the value of keeping the public’s sustainable well-being front and center in providing project options for the client, the need for taking a systems approach to civil engineering, the importance of engineers being involved during the planning stage, and the challenges involved in spending more money up front to get longer-term, life-cycle savings. The summit outcomes, along with the Board member input, will help shape the sustainability roadmap – a plan detailing the initiative’s future direction, to be presented to the Board in July. Leadership was a central theme in the Committee on Advancing the Profession’s annual strategic discussion with the Board. The Board approved three priority strategic focus areas that CAP will work to address. • Continuing to promote civil engineers as leaders addressing global realities – The committee cited the need for civil engineers to serve in public office and lead infrastructure organizations and agencies. This is especially important, CAP reported, as a few states have recently pushed to potentially eliminate professional licensure altogether. • Attracting youth to civil engineering careers to meet the needs of employers and the profession. The committee encouraged Board members to share their personal stories about what attracted them to civil engineering careers as the committee continues to identify factors that lead young people into the field. The Board also discussed possible fundamental changes in civil engineering practice that might provide insight for CAP as it addresses new global realities for civil engineering leadership. Among the suggestions were emphasizing leadership training for civil engineers, increased involvement in the public policy process, and continued implementation of sustainable engineering principles. 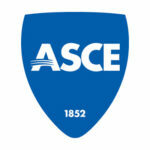 ASCE continues to address business and liability issues faced by Society members. The Task Committee to Study Professional Liability and Risk/Claims Management made its final report to the Board, recommending the establishment of a new Task Committee on Claims Reduction and Management to advance ASCE’s interest in helping members with that important goal. Risk drivers in civil engineering projects were also the subject at the ASCE Industry Leaders Council’s March 16 meeting in Arlington, VA, where the council heard featured guest speaker Nancy Rigassio, executive claims counsel for the insurance company, XL Catlin, speak on risk drivers. The council also heard from legal, engineering, and insurance representatives involved in a Virginia Supreme Court case called William Gordon Associates, Inc. v. Heritage Fellowship United Church of Christ, in which ASCE filed an amicus curiae brief. The ASCE Foundation reported to the Board a 430 percent growth in the number of donors between 2005 and 2015, which has provided vital support to Society initiatives and programs. The Foundation recently launched its Dream Bigger campaign to raise $300,000 to help fund activities, mini-grants, and outreach events for ASCE members in conjunction with the 2017 release of ASCE’s giant-screen film, Dream Big. • The Raise the Bar Committee engaged in a strategic discussion with the Board, receiving input on its plans for advancing the goal of increasing the educational requirements for future professional civil engineers. Additional action planning and Board discussions are on tap. • The Committee for Pre-College Outreach updated the Board on its activities to encourage youth to enter engineering careers, highlighting a near-doubling in civil engineering clubs at the high school level during the past year. A “What Do Engineers Do?” educational video continues to attract viewers online. • The Board approved the designation of the All-American Canal, an 80-mile aqueduct near the California-Mexico border, as an ASCE Historic Civil Engineering Landmark. The program helps promote the contributions of civil engineers to the quality of life. • The Task Committee on Geographic Boundaries reported on its progress in reducing the number of geographic regions by one so that the Board can add another technical director without increasing the overall number of Board members. The task committee has developed design criteria for the potential realignment and will refine two options to present to the Board in July.